(Newser) – A Chinese spacecraft on Thursday made the first-ever landing on the far side of the moon, state media said. The lunar explorer Chang'e 4 touched down at 10:26am, China Central Television said during its noon broadcast. The far side of the moon faces away from Earth and is relatively unexplored. It is also known as the dark side of the moon. 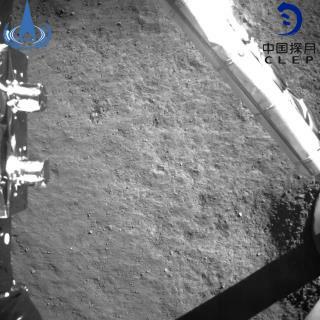 The mission of Chang'e 4, which is carrying a rover, includes carrying out low-frequency radio astronomical observations and probing the structure and mineral composition of the terrain, the AP reports. The spacecraft will also carry out biological experiments, including cultivating vegetables in an airtight container, the South China Morning Post reports. Nice, we're going to have a China town on the moon. "hey, i heard the dim sum there is out of this world!!!!!"